Mohamed Salah with his brace in Liverpool’s 4-3 win at Anfield has joined the English Premier League African top 50 goals scorers. Crystal Palace took a shock lead thanks to Andros Townsend’s first-half goal, but quick fire strikes from Salah and Roberto Firmino turned the game around eight minutes into the second half. James Tomkins headed Palace level but an awful error by veteran goalkeeper Speroni, tipping James Milner’s cross towards his own goal for Salah to score his 50th goal in the Premier League, gave Liverpool a lead that was later added to by Sadio Mane. Palace netted a stoppage-time consolation through Max Meyer. Salah brought his goals haul in the EPL to 50 in the process. 48 of those strikes have come in Liverpool colours with the other two coming for Chelsea in 13 league appearances. That gives Salah a total of 50 goals in 71 EPL appearances. The 26-year-old becomes the eighth African player and first Egyptian to register 50 goals in England’s top-flight with his teammate Sadio Mane just two goals above him on the list. Earlier this season, Salah scored twice against Red Star Belgrade in the UEFA Champions League and with his second goal he reached 50th for the club. With 50 goals in 65 games, he became the fastest player in Liverpool history to reach the half-century mark. 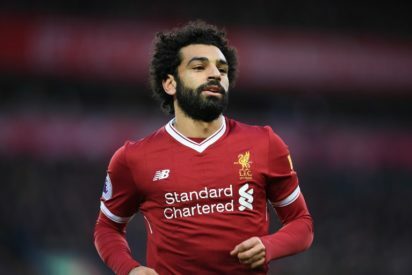 Salah won the Premier League Golden Boot last season after finishing with 32 goals. That was the most a Golden Boot winner had scored to claim the award since Alan Shearer netted 34 times for Blackburn back in 1994-95. He’s currently two goals clear of Harry Kane in the race for this season’s award.